University of Lynchburg has received a record $5 million bequest and additional distributions are expected. 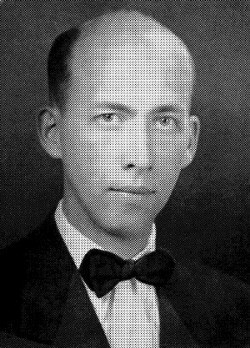 Walter W. Ridgway Jr. ’48, a native of Roanoke, Va., left his alma mater the bulk of his estate upon his death Feb. 23, 2013 at the age of 91. “The previous largest gift was $4.7 million,” said Gene Frantz ’71,’76 MEd, recently retired vice president for planned giving. About half of all bequests are unexpected, Frantz said. Check out media coverage: The News & Advance, WDBJ-7, WSET, WSLS, Richmond Times-Dispatch, Roanoke Times. Under the terms of the bequest, the “Walter W. and Josephine Sheffield Ridgway Memorial Fund,” half of the income will be used to provide scholarships to students attending University of Lynchburg from the Virginia Baptist Children’s Home, Glade Spring Baptist Church, and the First Baptist Church in Roanoke, Virginia, in that order. The other half is to be used for construction of new buildings or for the maintenance of new or existing buildings on campus. The College will apply the capital portion of the bequest to the Drysdale Student Center, according to Denise McDonald, vice president for advancement. The new Student Center will open this fall and be dedicated in late October. Ridgway served in a US Army 1st General Hospital during World War II after beginning his college career. He transferred to LC from Roanoke College as a senior on the GI Bill and graduated with a BS in biology at age 26. Ridgway was a retiree of the Norfolk and Southern Corporation and was preceded in death by his wife, Josephine Sheffield Ridgway, a native of Glade Springs, Va., where the couple lived after retiring. Mrs. Ridgway retired from Exxon-Mobile Corporation. She died in 2002. They had no children. Ridgway also left substantial amounts of money to the three institutions LC will work with to provide scholarships. He left a $1 million endowment to the Virginia Baptist Children’s Home and Family Services, doing business as HopeTree Family Services, in Salem, Va. He also left a $500,000 endowment to First Baptist Church in Roanoke, where he was a lifetime member, and another $400,000 to Glade Spring Baptist Church, which he and his wife attended after retirement. For more information, contact Denise McDonald, vice president for advancement, at 434.544.8665.